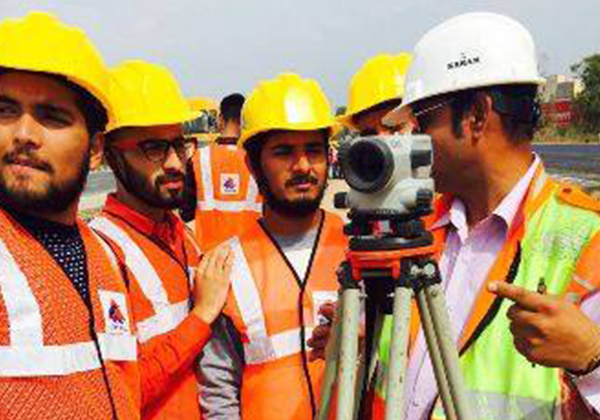 Civil Engineering students visited the 6-lane Extension Project by Tata Realities and Infrastructure Ltd. on NH-76. Second Year Civil Engineering students visited 6-lane extension project on NH-76 by Tata Realities and Infrastructure Ltd. Students saw different stages of construction of bitumen flexible pavement which was elaborated by expert Highway Engineer Mr. Suresh Sharma and Mr. Rajdeep Choudhary. Students also visited material testing lab on site. http://www.pacific-it.ac.in/wp-content/uploads/2018/03/news-22.png 420 600 nirbhay http://www.pacific-it.ac.in/wp-content/uploads/2017/06/PIT-black-resize-1-min.png nirbhay2018-02-08 09:29:472018-05-23 11:14:39Civil Engineering students visited the 6-lane Extension Project by Tata Realities and Infrastructure Ltd. on NH-76.